So I`m really excited !!!!! Also, I am writing this at 3:45 am. Why? I have no idea. I just woke up randomly a few hours ago and for a while now I have been wanting to start a series like this and this morning I just got an impusle and I told myself , you know what Ashanna, JUST DO IT ! So here it is !!!!! This was so spur of the moment, but I`m soooooooo excited about it. Because this is the first instalment, I have to explain what this series is about. So this post may be a bit longer than other posts that come in the future. 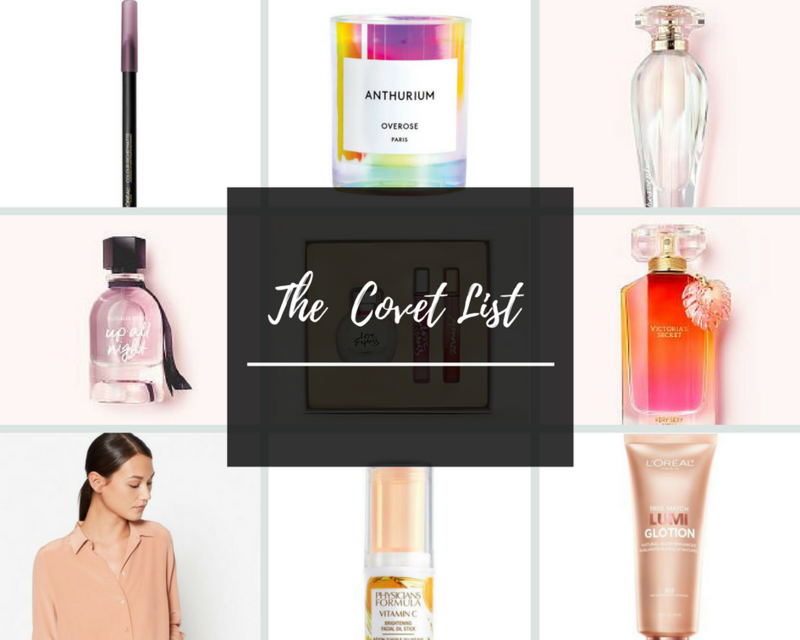 So “The Covet List”… What is it? If you have been following me for a while , you know that I`m minimal-ish. This post gives a good idea of what I mean. Basically this stems from the realization that while I may THINK I want a million things that I see everyday, I KNOW that having those million things are more likely to make me stressed and overwhelmed than happy. BUT with that being said , I still get googly eyed about 50 times a day and salivate over 100 different things that ARE sooooo BEAUTIFUL and GORGEOUS and AMAZING that I feel instantly in love and imagine how beautiful it would look in my home. LOLOLOL. 80 % of these things I find on Pinterest. LOL. So on my pinterest I have HUNDREDS of things that I have saved because they are so beautiful I need to store them somewhere, even if not in my physical space. This idea actually came to me several months ago even though I am only now doing the first instalment. I pin SO MANY things on a weekly basis. So I thought it would be so much fun to make it into a post series (hopefully I can do it on a weekly basis but we`ll see how it goes) . I just randomly started this first post and it came out so beautifully !!!!! I`m so excited to continue this series !!!! So without further ado , here are the things I coveted this week, and some of my ramblings about them. I had my doubts about this one but , testers saved me. I tested this out in the Pharmacy and it has the most subtle and natural glow – which is important for me in a highlighter, I really prefer subtlety to shimmer. I love a natural glowing look and this would fit in with my makeup essentials swimmingly. Complete honesty, I have no idea what this scent smells like. I just like the package and think it would look gorgeous on my vanity. Aesthetics will get me every time. Don`t you agree the bottle is gorgeous ??? I have this lip pencil in a red colour, and it is one of my favourite lip pencils that I have right now. It is one of the creamiest and most pigmented lip pencils I have ever used and the colours to me are very unique. I love a vampy lip, and I have a feeling I will LOVE this lip pencil in this colour. Again , full disclosure. I have no idea what this candle is. I don`t know how big it is, how much it costs, what scent it is. I JUST LOVE THE PACKAGING. I` m not into the holographic trend for makeup so much, but in terms of packaging, I JUST LOVE IT. I would love to have this candle in my place for the aesthetics and element of interest!!!!! Isn`t it beautiful ??? As I have said before. I love a natural minimalist makeup look most of the time. And if I can get that “natural glow” even better. If I can get a product that gives me that glow, that also comes in a convenient and “on the go” pacakage- BEST. I found this product on a blog and I just feel like I would LOVE it. Listen, I am going to honest with you, I AM L-A-Z-Y. And if I could never iron clothes for the rest of my life, that will bring me immense joy. As a matter of fact- I just added that to my list of life goals- never iron ever. To that end, Silk shirts are the way forward, because it is the non maintenance fabric of my dreams. And this shirt is beautiful, love that peachy pink colour !!! As a matter of fact, I`ll take the jeans too ! Have you realised by now? …..Retailers just need to make their product look very beautiful to get me to want to buy it !!!! I mean just look at that bottle !!! It just makes me want to go on a vacation, wear perfectly coordinated outfits, and pull out my bejeweled Victoria Secret Fragrance on my exotic getaway . Can you see it ??? Does it not make you want to be on a vacation? I LOVE VICTORIA`S SECRET SO MUCH EH !!! God save my wallet !!!! Let me know in the comments if you are coveting anything on my covet list ! AHAHAHA. Or what you are coveting at the moment !!!! All the items are interesting you mean ?